Top MLM Energy Companies: Which One is Best? What are different MLM Energy Companies? Which one is the best and which one should you promote? That is the purpose of this post. Since the de-regulation of the energy industry, several new energy network marketing companies were created to participate in the marketplace and give consumers additional options. In every case that I’ve found, MLM Energy Companies purchase the energy from companies that create the energy, and then they resell it to consumers. If this sounds crazy to you, don’t fret. Most utility companies do the exact same thing, probably even the provider that you currently use. In prior years, most consumers only had one or two choices of who they could have as their energy and utility provider. Energy companies had a monopoly and could charge consumers whatever price they wanted to. Since the de-regulation of the energy industry, consumers now have more options. In my opinion, this is a win-win situation for the consumer. Whenever there is competition in the marketplace, it’s the consumer who benefits. What I’d like to do in the paragraphs below is cover the top 5 MLM Energy Companies. They are listed in no particular order. Stream Energy is one of the leading MLM Energy Companies. It launched in 2005 and does business in nine different states to include Georgia, Washington DC, Maryland, New Jersey, New York, Pennsylvania, Illinois, Delaware, and Texas. They also offer wireless services and home security. Stream Energy is a member of the Direct Selling Association. Read my review of Ignite. Ambit provides natural gas and electricity in several states throughout the United States. They are based in Dallas, Texas and have approximately 250,000 Independent Reps. In 2010 they were named the # 1 fasted growing privately owned company in America by Inc. Magazine. They have over 1 million satisfied customers. Ambit Energy is a member of the Direct Selling Association. Read my review of Ambit Energy. ACN is the oldest, most established business on this list. ACN offers a wide variety of products to include cell phones, wireless internet, home security and energy. They offer commercial and residential energy with a company called XOOM. ACN is a member of the Direct Selling Association. Read my review of ACN. Viridian offers residential, commercial and solar energy. What makes them a neat company is that they specialize in “green” energy. Their goal is to reduce the carbon footprint. For every month you remain a customer, they provide one day of free energy to a family in need. One of my close friends is a leader in this company and he is very passionate about it. Viridian is a member of the Direct Selling Association. Read my review of Viridian. 5LINX offers residential energy services to include natural gas and electricity. They also offer things such as cell phones, health care, security systems, wellness products, entertainment and more. They were founded in 2001. Read my review of 5linx. DISCLAIMER: I am not affiliated with any of these companies, nor have I been in the past, but I have spent several hours researching each MLM energy company to learn about their products and services. Each name is a registered trademark. Which MLM Energy Company Should You Join? This is a tough question. One thing to consider is that not all of these companies offer energy services in every state. Search each company to see what options are available for you based upon where you live. I would also look at the contracts. This includes the energy contract and the distributor agreement. Make sure you know what you are getting yourself into. You might want to start out as a customer first, for a few months, to make sure you are satisfied with the service you get and the cost. Another thing to consider is this: “Do you want a company that just does energy, or a company that offers a variety of services?” There is no right or wrong answer. Just decide what is best for you. I also suggest you look at each company’s rating, online reviews, and get input from current and former customers. Just like any other business decision, educate yourself and do your due diligence first. Many people can benefit from the de-regulation of the utility industry. It allows consumers to compare energy prices, shop around and potentially save money. Remember, competition is a good thing. With increased competition, prices come down and the consumer benefits. MLM Energy Companies CAN be good for consumers. If nothing else, they keep the larger utility companies honest and competitive. If the energy industry is de-regulated in your state, you should shop around to find out what your options are. Read your contract and compare it with what another provider offers. You will never know until you check. Educate yourself about fixed and variable rates and identify the pros and cons of each. You might be pleasantly surprised to find out that you can save money by becoming a customer or distributor with one of the MLM energy companies, such as the ones listed above. Whether you decide to pursue the business opportunity or not, you could still potentially save money on your utility bill, and by referring others, maybe even make enough money to get your energy for free each month. I think that’s a great deal. If you decide to become a distributor with one of these MLM energy companies, you can earn an additional income, or even replace your full-time income. The bottom line is that you need to be a SMART consumer. Do your due diligence and research before switching utility companies. Ask lots of questions and do your homework. Don’t get caught up in a bunch of hype, lies or excitement. Spend a little time and do your homework so you don’t made a bad decision. We are all creatures of habit. I’m sure you agree. Most of us have been writing a check to the same energy company for many years, just like our parents did. When you ask people to switch energy companies, some people freak out. Let’s face it, change scares people. What these people need to realize is that even if they switch providers, they are getting energy from the same company. Nothing really changes other than the company that bills them. That’s it. It still gets delivered the same way, they don’t need to change any equipment or accessories, or do anything overly complicated. They simply go through the application process, switch providers, and that’s it. It’s your job as a rep to explain this to them. and also explain the difference between a fixed and variable rate. Why Work with a MLM Energy Company? Let’s keep it real for a minute. 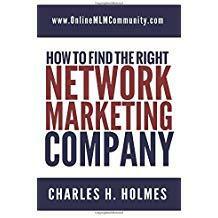 There are many niches within the MLM industry. Examples include wellness, weight loss, beauty and services. Some of these niches are ultra-competitive, with hundreds of different network marketing companies competing for the same customers. It’s not like a lotion or potion or magic juice. It’s something people actually want and need and keep buying, month after month. Here are some really interesting facts about the energy industry that I thought you might enjoy. If you know the status of these companies, if they are still in business, please leave a comment at the end of this post to let us know. What are your thoughts about my list of the top 5 MLM Energy Companies? If you are/were a customer or distributor with one of these companies I would love to hear from you. Please leave a comment below to tell us what you liked or disliked about the company or service. I look forward to hearing from you. Hi, i was in a MLM, called Independence Energy, which was not listed and are no longer a MLM. I was also in Viridian who is now no longer a MLM. I don’t see on the list a new MLM company called VIV, that’s in the energy business and just launched 2 months ago. It is a new technology called auto pilot. They are about to distrupt the ENTIRE energy industry! This technology uses a search engine to look for the lowest supplier in the state, and places the customer with that supplier. Then they will continue to monitor and search every month, for the lowest supplier and atomically place the customer with them. The customer enrolls by sending VIV a picture of their electric bill, and will never have to do anything again. They just set it and forget it! Each month the customer will receive the name of the supplier they have chosen to place them with, and the amount they saved compared to what it would cost if they remained with their local utility. So the consumer will be guaranteed to have the lowest rate on the market every month. There is NO competition and VIV is NOT a supplier. Just as airb&b does not own any hotels or property, they are disrupting the hotel industry. Uber who does not own a taxi, cab or a vehicle, has disrupted the taxi and cab industry. The future is all about innovative technology and Apps, in so many different markets today . VIV is predicted to be larger than both airb&b and Uber combined! They are using MLM to build the company for both residential and commercial businesses. Also they will be giving all new consultants who enroll by the end off September 2018, an opportunity to be part of the founders circle and receive a portion of 2% of the companys revenue every quarter. It will be divided up between all members who make the requirement to be part of the founders circle! This is a HUGE opportunity, considering they are predicted to be a billion dollar company within the next 3 to 5 years! Thanks for the comment. I never knew that Viridian went away as a MLM Company. Thanks for letting me know. I’ll have to have one of my writers add the company you mentioned to our list. Ambit Energy has opened the large commercial market to consultants in PA and will most likely expand as the markets open! I will have to update this post. Thanks for the info. Too bad you aren’t affiliated with any of these companies. I’m looking to become an affiliate of such a company because I can see the potential here and I just don’t know which one to choose. If you were to choose one which one would you choose at this moment? I know you did some research on each so you opinion will mean a lot to me even if I have to make the final decision. Thank you for your time, Chuck. I would look at each company to see what states they do business in. None of them, that I know of, do business in all 50 states. Someone can correct me if I am wrong, but last time I checked, energy wasn’t deregulated in every state. Just read your post and if you have not already made your decision on which MLM Energy company to choose, take a closer look at Ignite Energy. I have only recently become an Associate with them and find that they offer great benefits to both their customers and IA’s. There is no pressure to recruit and I feel the focus is primarily on the services. There is an optional monthly fee if you want to see up and down-line information, but the key word here is “it’s an option”. When you have a moment, take a look at my website which is included when you sign up for the opportunity. (link removed, no company replicated websites allowed in comments section) is my site. Feel free to click on “contact me” if you have any further questions. Thanks for the comment, Brandy. I appreciate it. I have removed your website link because I do not allow company replicated websites in the comments section. If you have your own blog or own website I would be more than willing to let you publish that. I’m curious if there is anyway to contact this person and see if her business is still growing and how it’s doing? Interested in the longevity of these companies for individuals. Hi Jennifer~please feel free to email me or call (724.825.0403) in regards to being an independent consultant with Ambit Energy. The company is solid and expanding globally as well as here in the states. Would love to share more information. Both Stream and Ambit are still strong companies. Both moving into new areas. The product still makes sense for MLM as it did when energy first hit the scene in the past. I am presently in the top 3% of Stream Energy and I was previously with Ambit energy. I can walk you through the processes and the compensation available through both plans. I own and operate as an LLC, The Free Energy Factory, which you can feel free to look up on Facebook and reach out. I have been an associate with Stream Energy (formerly Ignite) since the year it started in 2005. We are in a massive expansion/turnaround growth phase right now so it’s the best time to get on board than it’s ever been. Stream has added other Essential services nationwide like Mobile phones, etc… So we’re not just Energy anymore. I’d be happy to have a conversation with you re: my story, how Stream has been life changing for me and my family as well as the lives of thousands on my team, and most importantly, hear from you as to what you’re looking for to see if Stream is a fit for you or not. My phone number is 832-878-6181. So I did contact National Power, and I think they may have went belly up. I am still looking to possibly go solar. The energy problems here in Puerto Rico are terrible. The country is at a state of bankruptcy, and one of the major players in that is the electric supply that is controlled by the government. If anyone has any ideas on a great way to go here on this beautiful Caribbean island, please let me know. I am primarily considering solar, but wind power could possibly be an answer too. Thanks for this great post Chuck. Yes, some of the companies in this sector have shut down or changed their business model. I need to update this list. Oh how I wish we would get deregulated here in Puerto Rico. As far as I know, the energy here is handled by a monopoly. It shouldn’t be that way since Puerto Rico is a territory of the United States, but it is. With nearly 4 million people on an island 40 miles wide by 110 miles long, just consider the energy money being made. I have considered buying into solar and seeing if I can sell the unused energy back. I understand there is also good money in that. Do any of you have some opinions on that. My neighbors use solar power and enjoy it. I know it is a bit expensive to set everything up in the beginning, but I believe you will recoup that money back within a few years, just from your savings. There are also normally some tax credits for using solar. Wow, thanks mike the solar guy. I am going to take a look at your offer. My love and I just may be interested in this. Are you located in San Juan? I am curious if the electric company gives back here. I guess the best thing I can do is email you and find out. I will do that right now. With the sun as hot as its been here, we could probably supply you energy too Chuck. LOL. Well I don’t really know about Mark’s experience with Ambit but I like them. When I joined as a consumer they gave me a free vacation 3 days and 2 nights. Plus, I didn’t know it because my consultant did not share it with me but I was earning travel points every time I got a bill. By the time I found that out I already had qualified for a week long spa vacation! Finally, as a consumer, I had the ability to get my energy for free just by getting friends and neighbors to sign up. So for me Ambit is a good choice and that’s just speaking as a consumer. My business specializes in getting refunds back from utility/telecom companies as well as procuring energy and telecom services for businesses.I can only speak for Ambit’s structure because we’ve come across that often, and I know this is an MLM site, but I have to tell you, if you want to make money with energy (at least in a non-MLM fashion), you would do much better going to the energy companies directly and becoming an indirect sales agent for them. As far as I know, Ambit charges you to sell for them. You’re selling their services and they’re charging you for the privilege to do that. In return, it may have changed, but I think they pay you .50 per residential account and .00 for a business account. They pay much more for you to bring in a new agent, I guess that is where the MLM comes in. As an independent agent for a utility company, you can get paid for all of the kilowatt hours that your customer is using for electric and all of the therms for gas. This can add up to a lot more than .50 or .00. A typical payout to you may be .002 per kwh and .02 per therm. It doesn’t sound like much, but if you are selling to commercial businesses, it can really add up. Also, in case you came across a utility that had quotas for you to reach to remain in good standing, you could always find a broker that is an agent for them and become a sub-agent for the broker. They would probably pay you a lot more than Ambit and you wouldn’t have to pay them to sell for them! This is very interesting. I never even knew this opportunity existed. Thanks for sharing it with my readers. This type of opportunity does exist(non- MLM energy). While you can make money if you focus on businesses,the residential side does not pay that well. Takes many customers to build a good income just like it does in mlm energy companies regardless if they are business or residential.